The Conservation Foundation is pleased to announce the acquisition of a 2.25-acre property at the corner of Routes 53 and 56. The property, located adjacent to Butterfield Park District’s recreation center and a child-care facility, was in the process of being developed into the largest gas station and car wash in DuPage County. Otherwise fairly unremarkable, the site is significant in dreams of a regional bike trail, and also represents the only place available for the Butterfield Park District to expand its facilities and programs. And converting the property into a park location will enhance recreational activities and quality of life for its neighbors. Butterfield Park District asked The Conservation Foundation to acquire the property immediately so the District has the time to line up the support and resources to purchase the property itself. 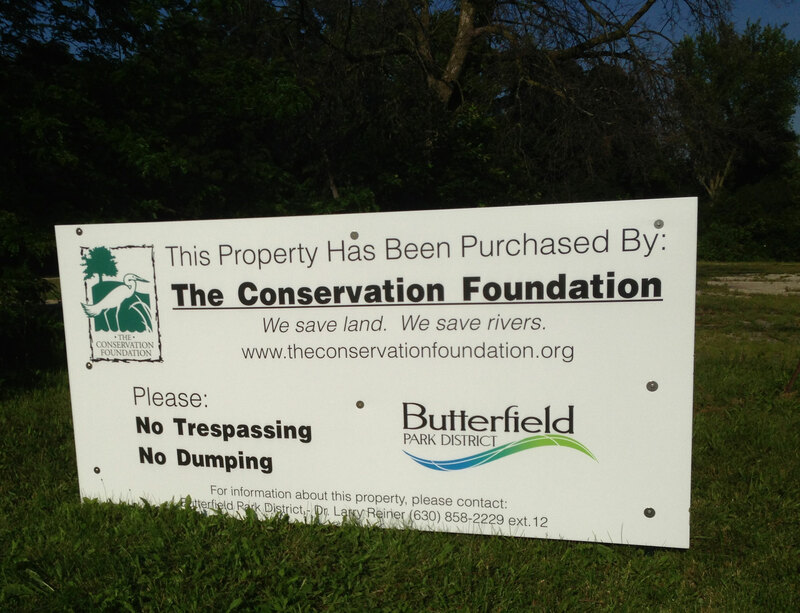 The $1.5 million property will be owned by The Conservation Foundation and leased to the Butterfield Park District for the next year. All of the contracts have been signed, and the actual transfer of the property should take place shortly. Now instead of cars getting clean, kids will be getting muddy on this corner, and I don't think anyone will be complaining about that! The jargon for this type of transaction is called a Buy and Hold, and basically means that we bridge the timing gap between a landowner's need to sell and a public agency's ability to obtain funding. It's a unique niche that The Conservation Foundation is pleased to fill. To learn more about this purchase on behalf of the Butterfield Park District, click here. The Butterfield Park District will have a referrendum on the November 4th ballot asking for votes for $2,985,000 to help purchase this land from The Conservation Foundation and make improvements throughout their park district. For more information on this referrendum, click here. Projects like this one are only possible with the kind of passion and support of our members and donors. Good things are happening - Thanks to all of you who are playing a part!